The camp runs July 15-18 and there is still time to register! Tamarack Tales is an interactive hands-on-get-dirty exploration of Camp Tamarack’s forest, prairie, wetland and lake features. 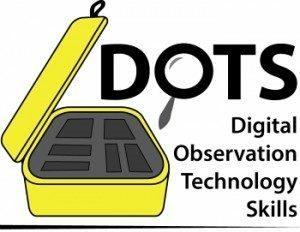 Participants will start by learning to use DOTS (The Digital Observation Technology Skills) technology kits to analyze lake samples for water quality. This inquiry-based lesson navigates the basics of the scientific method and focuses on the importance of good scientific communication and sharing discoveries with others. They will use the technology tools found in the DOTS kits to make observations, take measurements, explore the micro and macro details of their environment, and learn how to embrace their inner scientists. They collect digital artifacts to test their hypothesis including both quantitative and qualitative data. In addition, ‘Media Specialists’ are responsible for collecting photo and video evidence of each groups ‘scientific story’ that can then be used to present the results of the study to share with others. 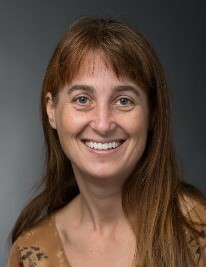 In addition, Shannon Davis-Foust, a Senior Lecturer in the Department of Biology & Environmental Studies Program at the University of Wisconsin-Oshkosh, will be heading up the Plants and Pollinators in Prairies part of the program. She is a Land Ethic Leader through the Aldo Leopold Foundation, a former Master Gardener, a mentor for the Wild Ones Fox Valley Area Chapter, and a Wisconsin Master Naturalist who has taught environmental issues for over 10 years at UW-Oshkosh. An avid gardener, wildlife watcher, and beekeeper, Shannon has a Ph.D. in Ecology from UW-Milwaukee. Participants will have the opportunity to hear Dr. Davis-Foust show them first-hand how to identify what belongs in a prairie – and how to remove what should not be there.